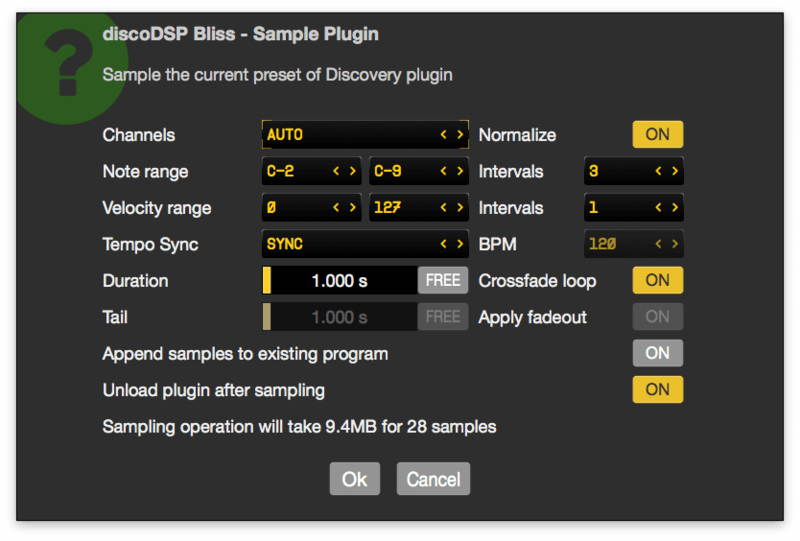 Bliss is a new generation sampler with VSTi plug-in sampling. 32 / 64­-bit VST2 / VST3 / Audio Units compatibility. Built­-in VST host / VSTi sampling (freezing). Record your favourite VST without any sound quality loss. Programs: .AKP (AKAI S5000-S6000) / .EXS / .SFZ / .DLS / .SF2 (SoundFont2) / .XRNI (Renoise Instruments). Samples: 16-­bit / 24-bit WAV.